Archive from category "Fire Departments"
1 down and 2 to go! The Rodes City Run is Saturday March 9th! It starts at 8:00am. For more information or to register online, click here! The runners of Kentuckiana make magic happen each Spring supporting children with special needs in Kentucky and southern Indiana like Addy (see her video below). 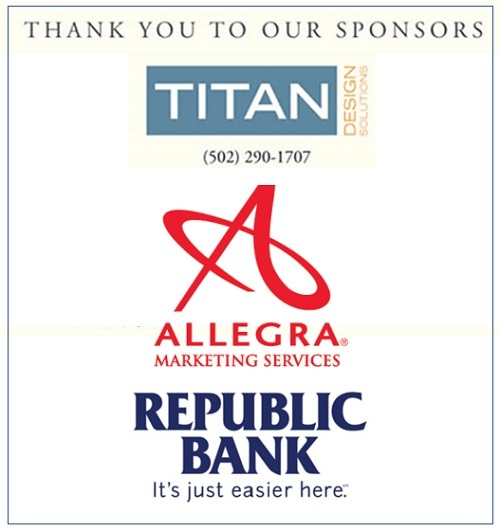 All three races benefit the WHAS Crusade for Children. Call the Crusade office at 502-582-7706 for more information on how to join Team Crusade. Team Crusade is a running team that takes part in all three races. Your running skill level doesn’t matter. You’ll join a fun group that just wants to help children with special needs. 100% for the kids! Wow! Now that’s a fire truck! It’s Santa’s truck! Santa’s decked out firetruck will be going around Zoneton Fire Protection District in Shepherdsville, KY, December 6-22. Go to Zoneton Fire Protection District’s Facebook page for a complete schedule, or call the firehouse at 502-955-8076 and hit option 1. The WHAS Crusade for Children has raised more than $180 million over the past 65 years. Fire departments raise more than 50 percent of the annual donations by staging roadblocks and other events. Thanks to generous contributions of goods and services, the WHAS Crusade is able to return 100 percent of all donations to organizations that serve children with special needs in all 120 Kentucky counties and more than 50 southern Indiana counties. to support children with special needs in Kentucky and southern Indiana like Addy. Call the Crusade office at 502-582-7706 for more information on how to join Team Crusade. At the birth of their son, Christian, the Wilson family was told he wouldn’t live more than a few hours. The family refused to give up hope. With the help of the Appalachian Regional Healthcare System and the WHAS Crusade for Children, the Wilson’s faced what they call the longest night of their lives. In his time with the therapists at the Appalachian Regional Hospital in Harlan and now at the Hyden location, Christian has worked consistently to overcome the effects of cerebral palsy. The family is truly grateful for Christian’s continuing progress. Since 2014 the Appalachian Regional Healthcare System has received $56,000 in Crusade grants to help youngsters like Christian. It’s an annual tradition like no other. Get out your tissue. The Miracle Dancers are WHAS Crusade for Children favorites, and they always move the crowd when they perform. This is their 2018 WHAS Crusade for Children Variety Show performance at the Kentucky Center for the Arts in Louisville, KY. This Letter to the Editor was published in the July 20, 2018 edition of The Courier-Journal. It was written by Brennen Lawrence, chair of the WHAS Crusade for Children board and CEO of Cuddle Clones. It is an honor and privilege to be a part of the WHAS Crusade for Children for over 30 years, initially getting involved through the fire service. For the past nine years, I have served on the board of directors, acting as the chair for the last three years. My appreciation for the generosity of the people in Kentuckiana has grown tremendously during this time. For 65 years, the annual phenomenon known as the Crusade has been an important part of this community. Once again in June, we all came together for the kids, making it possible to award 229 grants this year, totaling $5,675,000. We are proud to continue the tradition of returning 100 percent of the contributions to hospitals, schools, and agencies throughout Kentucky and Southern Indiana. The Crusade Advisory Panel is a group of interdenominational ministers (rabbis, priests, pastors and reverends) who determine the grant allocations each year. This year was especially difficult, with $14.9 million in requests. This would not be possible without the dedication and commitment of firefighters, who remain the heart of the Crusade. This effort also includes so many children, parents, churches, synagogues, businesses and schools who have personally collected. It is humbling to see the depth and breadth of the grants that are possible this year due to such great compassion. As a result, many children who have special needs will get the help they deserve. 65th annual WHAS Crusade for Children just a few hours to go! Here is a growing list of fire departments, groups and organizations as they appeared on the 65th WHAS Crusade for Children. Keep coming back, this will be updated throughout the weekend! FREE Crusade Variety Show at the Kentucky Center tonight! The 65th Annual WHAS Crusade for Children will kick off with a Variety Show headlined by The Misty Mountain String Band. They will be joined by many other great performers including this year’s AMERICAN IDOL contestants Cody Martin and Emmy Bodner, plus 1200 and The Free Soul Effect. Many other Crusade favorites will be performing like Patrick Henry Hughes, Melissa Combs, Todd Hildreth and the Crusade Quintet, magician David Garrard, the Diane Moore Dancers, the Miracle Dancers and more! Show time is 7:00PM (EDT) at the The Kentucky Center for the Performing Arts Bomhard Theater in Louisville, KY. Admission is FREE! Seating is first come, first served. 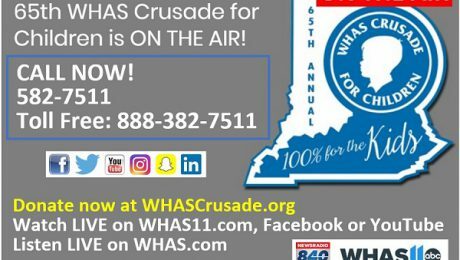 WHAS11’s Rachel Platt and 840WHAS Radio’s Terry Meiners will emcee the Crusade Variety Show. 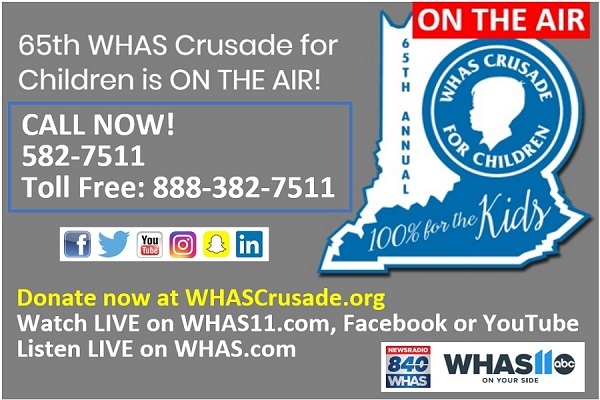 The WHAS Crusade for Children telethon begins at 1:00pm on Saturday, June 2 with fire departments, civic groups, organizations and companies reporting donations. The Crusade telethon concludes at 7:00pm on Sunday, June 3. As always, it’ll air in its entirety on WHAS11 TV, 840WHAS radio and WHAS11.com. In its first 65 years, the WHAS Crusade has raised over $175 million for children with special needs. 100% of all donations are returned in the form of grants to agencies, hospitals and schools that make life better for children with special needs. The WHAS Crusade for Children is America’s most successful local telethon! Thrilled and excited to be a part of the 65th Crusade, the Misty Mountain String Band will kick it all off with a free concert at the Kentucky Center’s Bomhard Theater at 7:00pm (EDT) on Saturday, June 2. String Band doesn’t stray far from their upbringings in Kentucky and Virginia. Formed as a pickup group for an old-time camp revival, MMSB has evolved into a professional band that’s as at home playing with the Louisville Philharmonia Orchestra as at bluegrass festivals with Americana favorites. The group connects with fans of folk music around the world, sharing unique string band music written for today but informed by tradition. 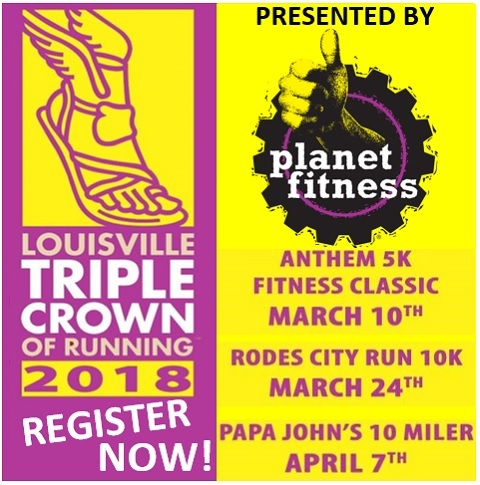 The Papa John’s 10 Miler is the third “leg” of the Louisville Triple Crown of Running™. It’ll be held Saturday, April 7th at 8:00am. There’s still time to register! 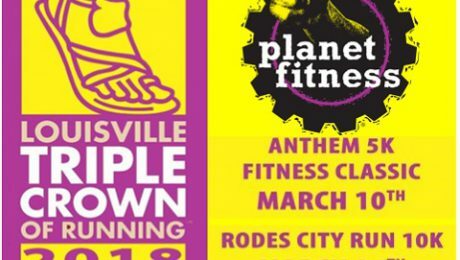 The Louisville Triple Crown of Running, presented by Planet Fitness, which includes the Anthem 5K Fitness Classic, Rodes City Run 10K and Papa John’s 10 MIler, was formed in 1984. Register now! And learn more about the Papa John’s 10 Miler, click here. Net proceeds from the Papa John’s 10 Miler will be donated to the WHAS Crusade for Children. In 2017, the Louisville Triple Crown of Running℠ races donated $77,886 to the Crusade. This brings the Triple Crown’s total amount donated since 2002 to the Crusade for Children to over $1.8 Million. Thank you to our sponsors and the running community for making this donation possible. The WHAS Crusade for Children is the largest granting organization to agencies serving special needs children in Kentucky and southern Indiana. 100% of every donation to the Crusade is returned to the community to serve special needs children. Crusade Children’s Calendar entry deadline almost here! Welcome to the 11th annual Crusade Children’s Calendar! The WHAS Crusade for Children is creating a 15-month calendar that will begin in October, 2018. The contest is open to children who are not older than 5-years-old by June 1, 2018. As child photos are submitted, they will be seen here on WHASCrusade.org. People then vote for their favorite child by sending in donations to the Crusade. The child with the most donations (votes) will appear on the calendar cover. The child with the second most donations will appear on his or her favorite month. Third place will choose his or her month and so on til all months are filled. Please read the official rules below. The Crusade will have professional photos taken of the top 16 children and those are the photos that will appear in the calendar. All children will be included in the calendar. Those who don’t make the top 16 will get day and date spots chosen in finishing order. Vote getter number 17 will get first choice of day and date, then number 18, etc. All entrants must fill out the Calendar Entry Form. Send in your child’s photo and entry forms! Those interested, must send in one (1) child photo or CD containing one (1) child photo. The photo will not be returned. Photos and entry forms must be received by 4:00pm EDT April 13, 2018. 1. The WHAS Crusade for Children will create a 15-month calendar starting October, 2018. 2. The contest is open to children who are not older than 5 years by June 1, 2018. 3. One child photo or CD with photo and child’s name must be submitted and will not be returned. 4. Parent(s) must check the box on the ENTRY FORM RELEASE AGREEMENT allowing use of child’s image. 5. Photos & entry forms must be received by 4:00pm EDT April 13, 2018. 7. 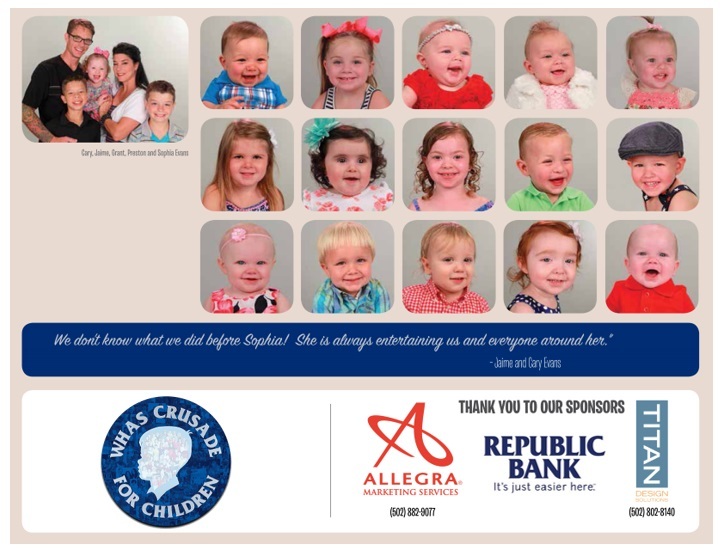 The Crusade will photograph the top 16 children for calendar publication. 8. Winners will be determined by the largest monetary donation (voting by contribution). 9. All donations must be received by 4:00pm EDT May 25, 2018. 10. The winner will be featured on the calendar cover. 11. The second place winner gets first choice of a specific month. 12. The third place winner gets second choice of a specific month. 13. The fourth through 16th winners will get choice of the remaining months. 14. The winners finishing 17th and beyond will get choice of specific days in the year. 15. The top 16 finalists will receive one free 8″x10″ photo. The WHAS Crusade for Children, Inc. established in 1954 by WHAS-TV, raises money for schools, agencies and hospitals to better the lives of special needs children. In its first 64 years, the Crusade has raised more than $175 million. Thanks to generous contributions of goods and services, the Crusade for Children is able to return 100% of all donations to organizations that serve special needs children in all 120 Kentucky counties and more than 50 southern Indiana counties. Fire departments raise more than 50 percent of the money each year by staging road blocks and other events. Millions of children have been helped by the Crusade since 1954. The WHAS Crusade for Children, Inc. is a 501(c)(3) public charity. Gifts are tax-deductible as permitted by law. The Crusade is the most successful and oldest local telethon in America.